One of the top hotels in Canada, wineries, farms, and festivals can all be found in Abbotsford, just a hop, skip and a jump down the highway from the bustling cityscape of Metro Vancouver. If you’re looking for a staycation that combines the accessibility and great foodie options of the city with the charm, sights, scenes, and farm-to-table goodness of the country then this post is for you! As someone who publishes a list of 300-600 events every month, I know for a fact that there’s no shortage of fun things to do in the Fraser Valley! 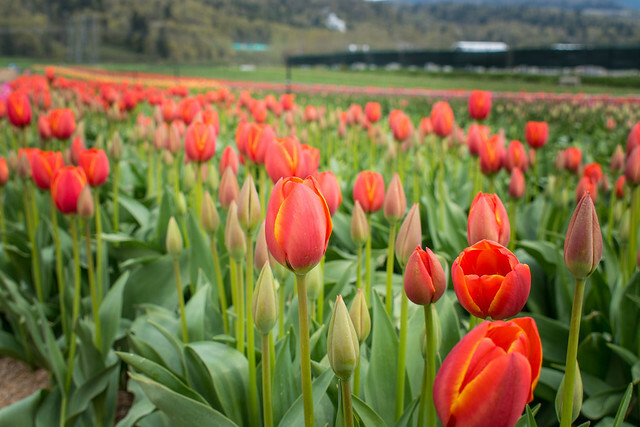 Right now the hot ticket is the beautiful Bloom Tulip Festival, open daily and home to seemingly endless Instagram photo ops. 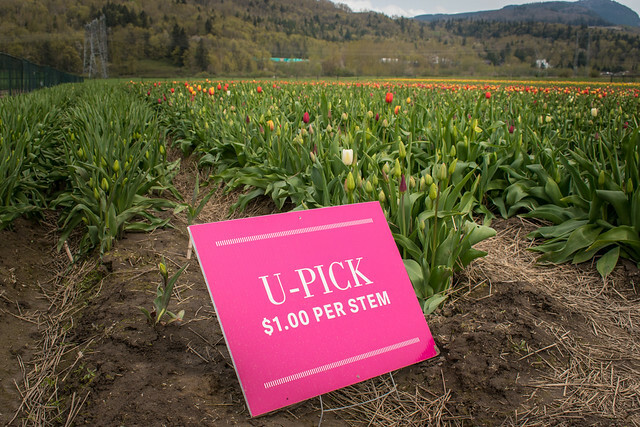 Visit and stroll through the millions of bulbs, enjoy games and snacks, and of course purchase some flowers too. 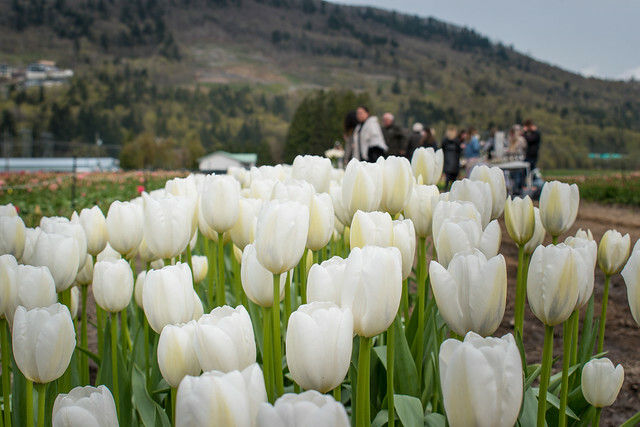 Stop by the new grove of white cross tulips that have been officially named “Peter’s Legacy” after Peter Warmerdam, grandfather of Alexis Warmerdam who now runs the tulip festival. 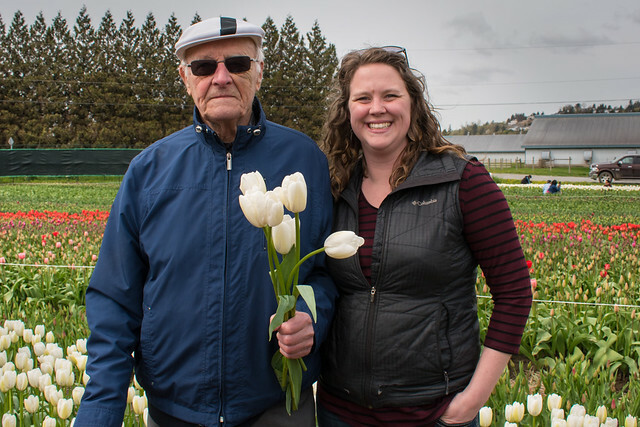 Peter immigrated from the Netherlands and settled in the Fraser Valley in 1950, bringing his Dutch heritage, horticultural knowledge and farming experience to the Bradner and Sumas Prairie areas over the last 60 years. It’s one of the top hotels in the country, and you may not have ever heard of it! Brookside Inn, located on Chardonnay Lane with vineyard vistas in Abbotsford is consistently ranked as one of the most romantic stays in the country, and its 5 star TripAdvisor rating is well earned. Proprietors Chris and Sandi Buis have made sure that you have all the comforts of home, while providing a fun selection of movie theme rooms and all the amenities of a hotel in a luxurious down-home setting. 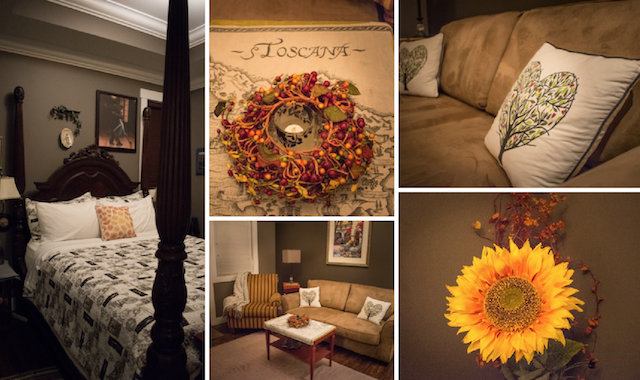 I stayed in the Under the Tuscan Sun suite, and along with being beautifully decorated with sunflowers and Tuscan-themed sconces, chandeliers, and artwork, I sincerely appreciated the addition of a faucet that doesn’t do anything. If you’ve seen the movie, you’ll love this touch! It’s that attention to detail – along with a giant soaker tub, in-room fridge and sink, fireplace, comfort items like lotions and shampoos, and giant closet – that earn Brookside Inn all their kudos. To top it off, breakfast in the dining room was top notch. A fruit bowl, toast, omelette, orange juice, and coffee, all included. Stay a while to chat with Chris and Sandi, who are genuinely interested in getting to know their guests and have a great knowledge of the local area. You’re just minutes from Fraser Highway so it’s a great hub to be based out of for the rest of your adventures in the valley. Other theme suites include: Roman Holiday, The Secret Garden, Midnight in Paris, A Good Year… in the Vineyard, Thomas Crown Affair. Even when you’re in the city, you’re surrounded by the country. 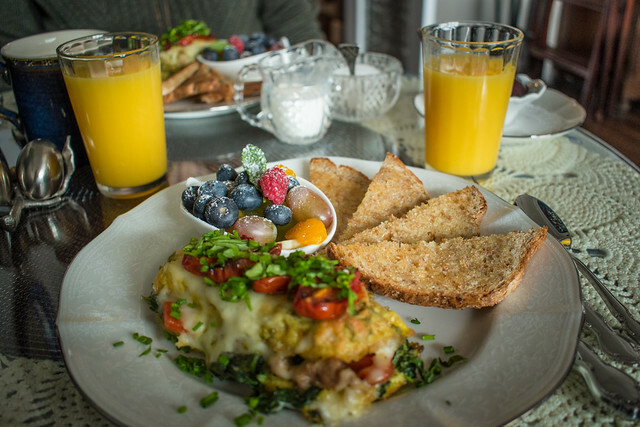 When staying in Metro Vancouver’s heartland, eating fresh, local ingredients is easy. Stop into Old Hand Coffee to start your morning (their flat white is amazing), and spend some time in old downtown Abbotsford. You’ll recognize Montrose Street as a popular filming location for Hallmark movies – with its quaint facades and boutique shops, it really does look like it’s right out of a movie. 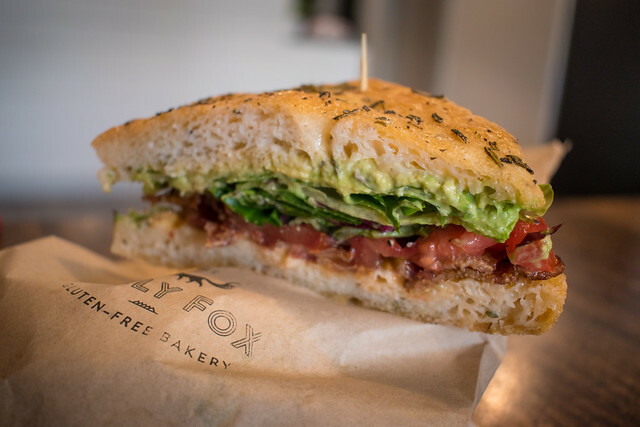 For lunch, there’s The Polly Fox – with a focaccia sandwich so good you won’t even realize the bread is 100% gluten free and vegan. I had a BLT, to which I added a creamy avocado, that was probably the best I’ve ever had. The crispy vegan and gluten free bread, with fresh rosemary, olive oil, and maldon sea salt raised it to the top of my BLT list. Remind me that that I need to go back and try their vegan baked donut with lemon coconut, lemon glaze and toasty coconut garnish. 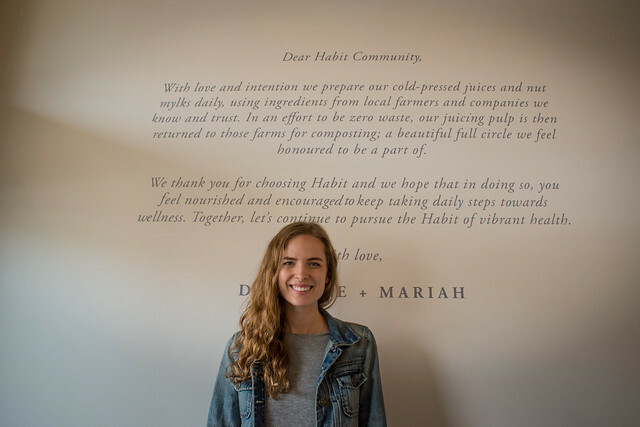 Next door you have The HABIT Project, a sleek, minimalist smoothie joint that goes above and beyond. They have healthy take-out lunch box items (I was eyeing the bright pink beet humous in one of the bento-style boxes) along with smoothies and their famous cold-pressed juices. What started out as a passion project, and Kickstarter campaign, has turned into this lovely, healthy oasis in the heart of Downtown Abbotsford. 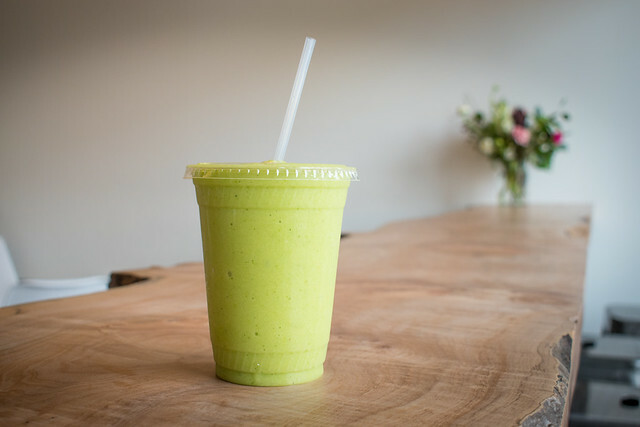 The smoothies are cold, fresh, and packed with nutrients along with options like activated charcoal, or their housemade coconut mylk. Kid sizes are available for just $3 as well. Note: New juice day is Tuesday and by Wednesday they were almost all sold out! For supper, stop into Duft & Co. Brickhouse. 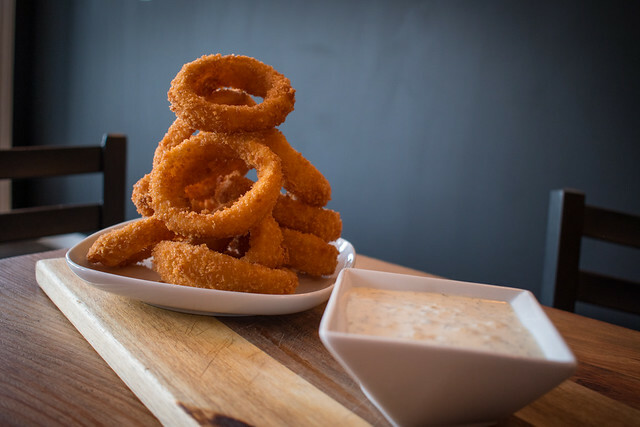 As he set down a mile-high pile of crispy onion rings on our table, co-owner Tyler Duft remarked that the best food has the fewest and simplest ingredients. 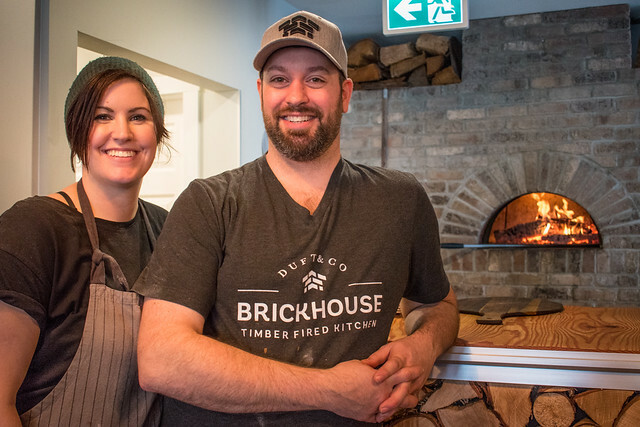 Tyler along with partner Cassandra Crocco created this space to offer up wood-fired Neapolitan-style pizzas, as a complement to their Duft & Co. Bakehouse across the street. The menu is simple, straightforward, and packed with local flavour. Pizzas, sandwiches, salads, and super snacks like mac and cheese are on the menu. The golden delicious onion rings were the most structurally sound I’ve ever had as well. You know what I’m talking about… when you pick up an onion ring or take a bite and half the onion slips out of its crunchy casing. These were thick, hearty, crunchy, and super tasty after their overnight soak in a buttermilk bath. The pizzas were the star attraction. 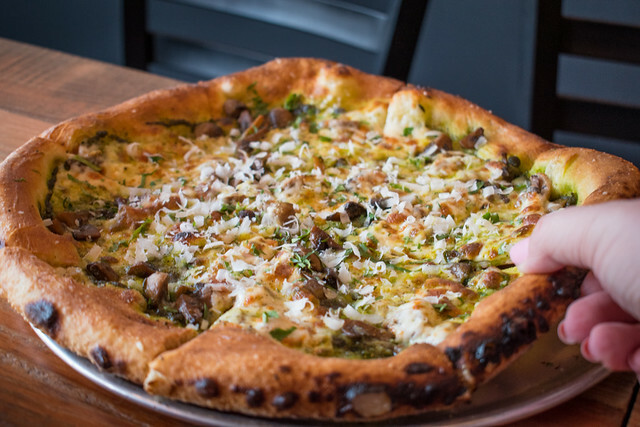 With a bright array of simple toppings, the Margherita is a treasured classic, and the Funghi (with basiil cream, mozzarella, garlic, sautéed mushroom, parmesan, parsley) would be a perfect pairing with a pint of their local craft beer. On tap this week was the Persephone Golden Goddess Ale from Gibsons on the Sunshine Coast. 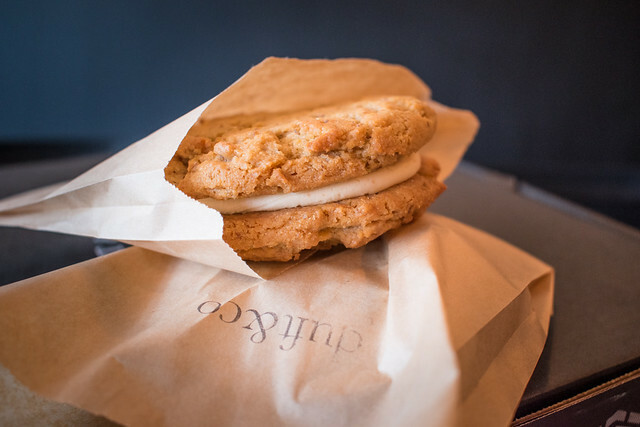 Round out your meal in style with a rich and chewy peanut butter sandwich cookie. All bees, all the time. Campbell’s Gold Honey is one of my favourite local farms for shopping. Every time John and I decide to have farm gate shopping trip, we stop into Campbell’s Gold. You get local honey from people who KNOW their bees. I’m talking generations of beekeeping knowledge, university degrees in the field, and decades of hands-on experience. 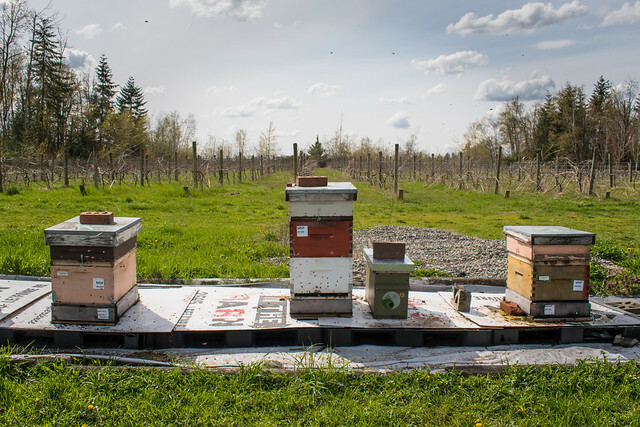 The Campbell family also hosts Beekeeping Courses so you can learn from the pros. I toured the farm and beehives with Jenny Campbell, who is just as passionate about the process as her parents. It’s so fascinating to learn about everything that bees do for the environment around them, and to listen to the Campbells share their passion and enthusiasm. In the shop you can do honey and mead tastings, shop for beeswax products and other fun honey and bee related goodies. I picked up a bottle of the Sweet n’ Wild Melomel made with honey mead and haksap berries, a stock pile of honey to take home (they have over 30 kinds of honey), beauty lotion (from an artisan in Squamish) and some gift baskets for prize giveaways. Round out your visit with a stop at a winery. With rolling hills of vineyards and views of majestic Mt Cheam, it’s a beautiful region for wine growing. Over at Singletree Winery, the Etsell family has deep roots in the agricultural community. With careful attention to their land, they are committed to showcasing the best of British Columbia in every bottle. The winery makes a range of red and white wines and is best known for its flagship Siegerrebe “Siggy”, an aromatic white wine. 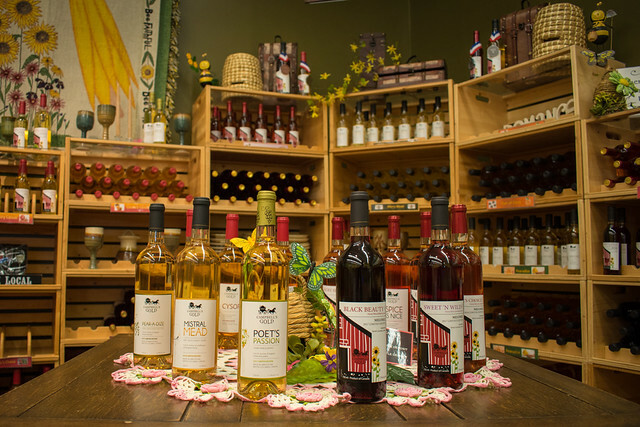 The winery has also earned a strong reputation for its friendly service and winery events, and most recently, a delicious line of wine jellies, perfect for any cheese board. 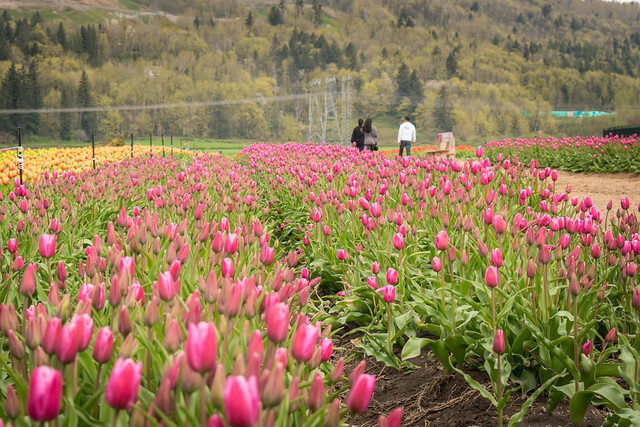 The best place to start your Abbotsford staycation planning is through Tourism Abbotsford. You can follow them on Facebook, Twitter, and Instagram for inspiration. This is not a paid post. Views are my own. My meals and accommodations were courtesy of Tourism Abbotsford and the providers.